The big day is finally here, and that means packed schedules and full itineraries. Proper nourishment is key to getting all you have to accomplish done, so we’ve mapped out all the stops so you can get your culinary fixes at Highland Park Village before, on and after the big day. Give your out of town guests a Texas welcome by leaving locally made treats from Royal Blue Grocery in their guest rooms. A bag of Have’a Corn Chips and a jar of Guac with a Twist, accompanied by a couple bottles of refreshing, fizzy probiotic tea from Holy Kombucha are the perfect after flight snack. 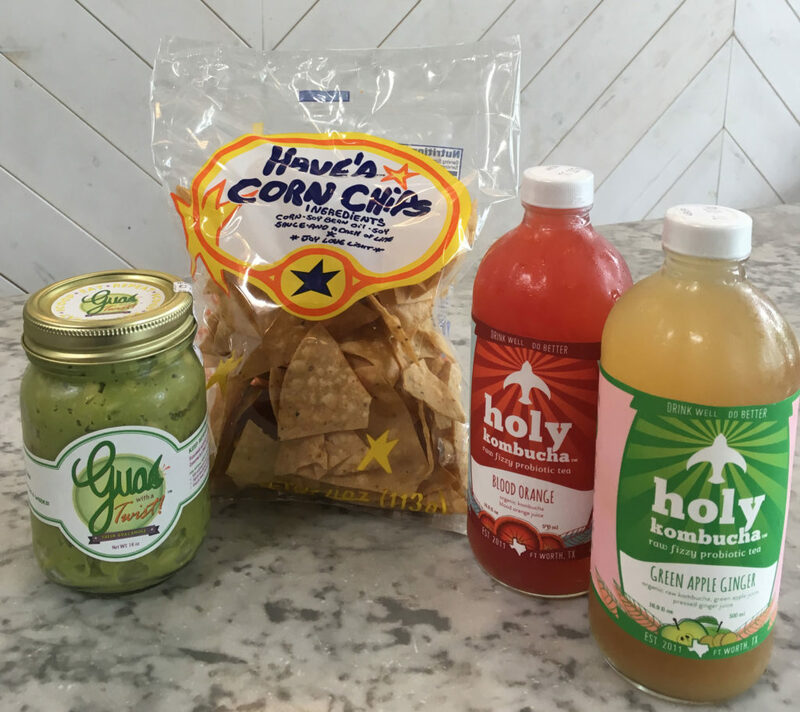 Guac with a Twist, Have’a Corn Chips and Holy Kombucha fizzy probiotic tea in Blood Orange and Green Apple Ginger. All locally made and available at Royal Blue Grocery. Grab your girls and book a private wine and cheese tasting at Molto Formaggio. Sip and snack in the intimate specialty store while learning about fine wines, cheeses, food accompaniments and desserts. 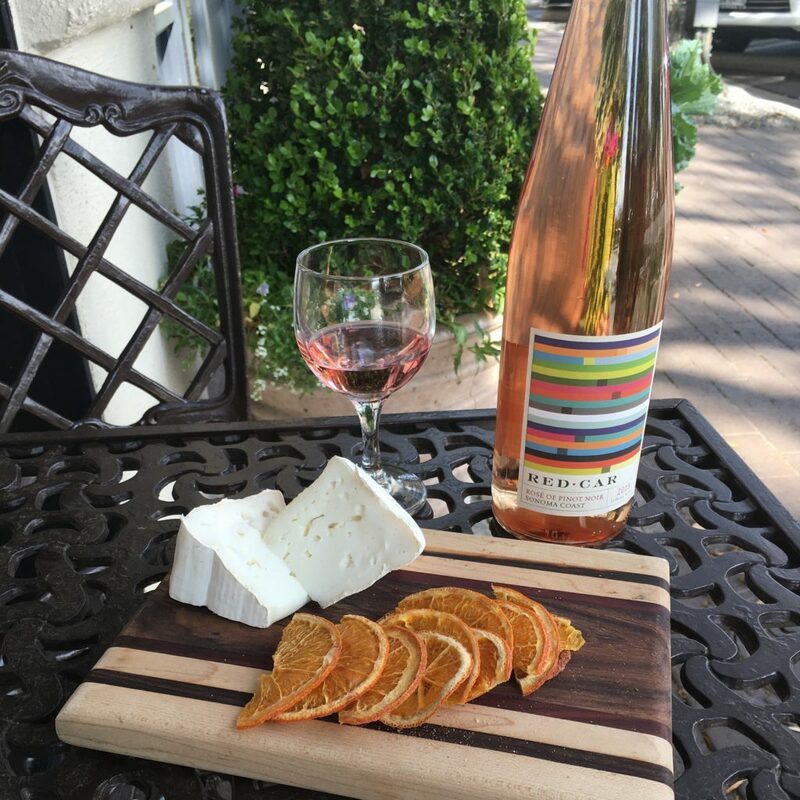 Enjoy a glass of Red Car Rosé of Pinot Noir Syrah with Italian goats cheese and orange crisps at Molto Formaggio. K.T. Burger is the perfect spot for the guys. There, the groomsmen can enjoy burgers, tacos, steel-cut fries and a full bar in the laid back dining area or corner patio. 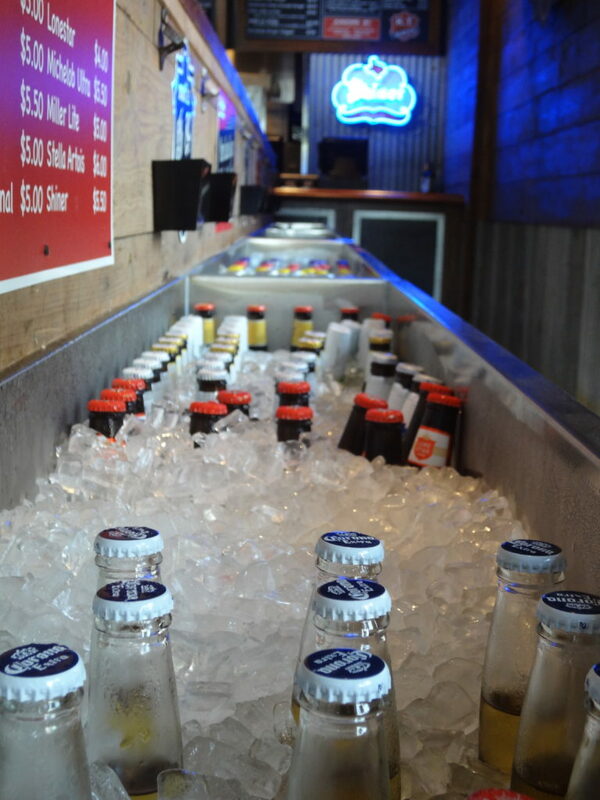 With over 15 beers on tap and a vast bottle selection, you have plenty of options for a cold brew at K.T. Burger. Snag that needed burst of caffeine or a refreshing cup of tea from Starbucks to get you through the eventful weekend. 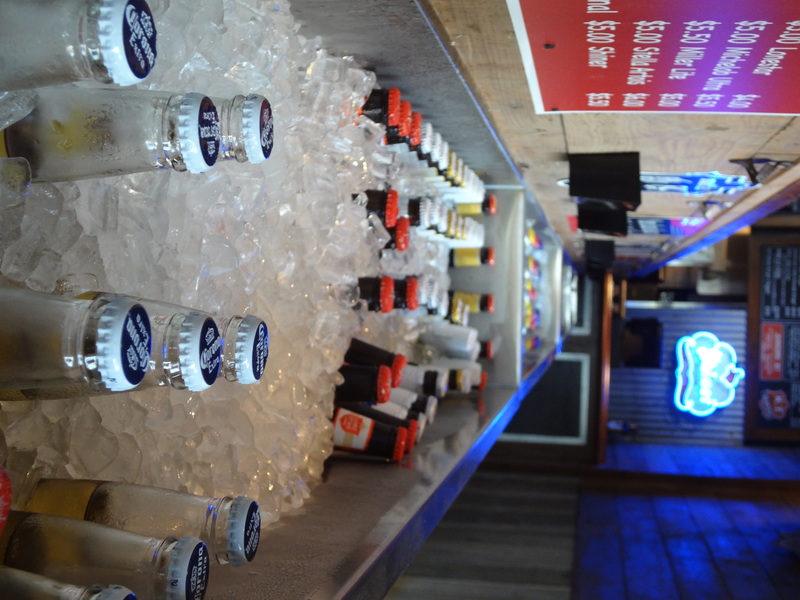 Take advantage of mobile ordering to make pick up a breeze. 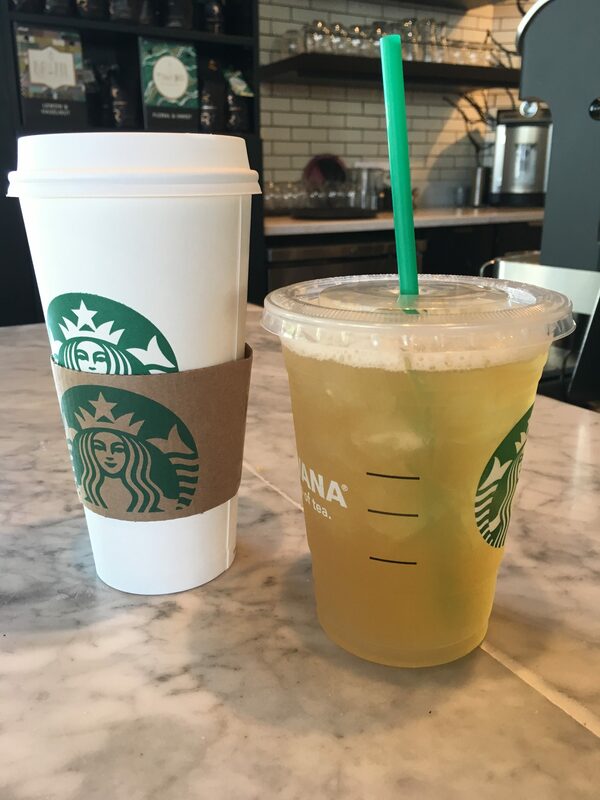 Perk up with a grande caramel macchiato or cool off with a tall green tea lemonade. Squeeze in a last family brunch after you’ve tied the knot. Make a reservation at the elegant Bistro 31 or take part in the Bloody Mary Bar upstairs at Lounge 31 during their Social Sunday brunch. 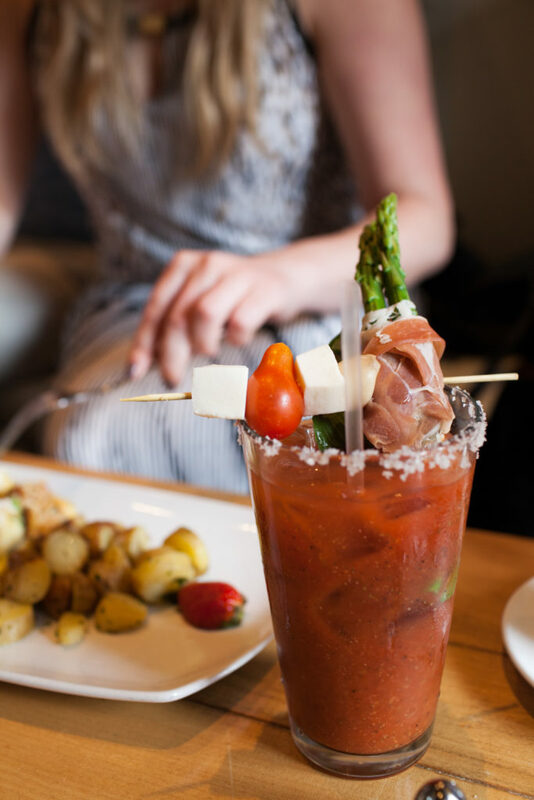 Customize your Bloody Mary with meats, cheeses and veggies from the Bloody Mary Bar at Lounge 31. Show your guests you’re in the know and send them over to Cafe Pacific, rated by Zagat as one of Dallas’ best seafood restaurants. 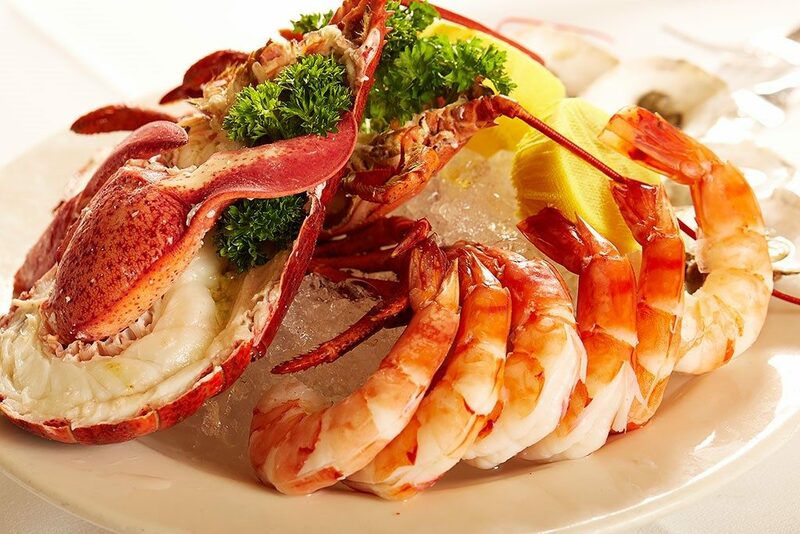 Chilled lobster and shrimp are the perfect seafood combination from Cafe Pacific. Get vacation ready with your significant other and enjoy the best in Tex Mex cuisine and cocktails at Mi Cocina before heading out for your honeymoon. 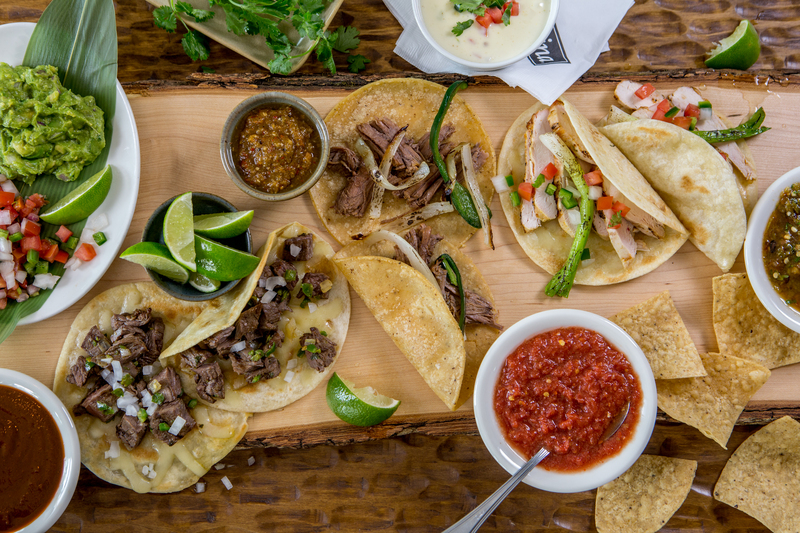 Try a sampling of street style, shredded brisket or chicken fajita tacos from Mi Cocina’s Dinner Taqueria menu.